Description: A free customizable cultural difference diagram template is provided to download and print. Quickly get a head-start when creating your own diagrams about cultural differences. 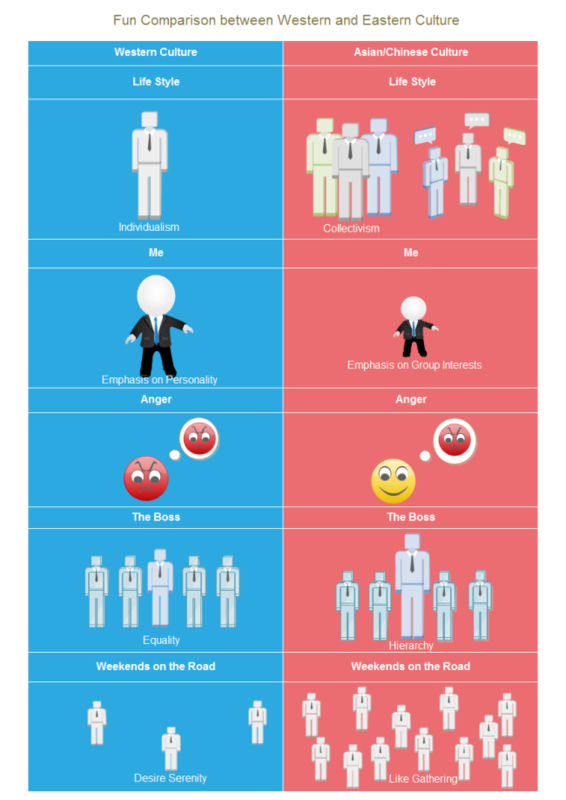 Here is a simple cultural difference diagram example created by Edraw Max, which is available in different formats.